We all love to travel, some travel for peace, some travel for business, some travel for a break from regular schedule and then some travel for experience. As they say ‘Don’t tell me how much educated you are, tell me how much you have traveled’. Traveling gives enormous experience, it fills up your soul, gives you a change, provides you with the peace of mind. Do you think to travel is an easy task ? Of course, travelling is very tempting, but to plan a trip is surely not a tempting thing, for it takes a lot of efforts and proper knowledge of the routes and the place. So, for keep the planning thing easy we have GIS maps. GIS maps offers some major benefits to Travels and tourism sector. Cultural events and special attractions. Lets see how these benefits are offered by GIS to travels and tourism sector . Travels and Tourism is one of the wide and important industry, which is spread over all corner of the world. When you are travelling to a new place it is the responsibility of the travels and tourism business holder, to welcome their guests by making them visit every tourist spot. But for that we need to know the tourist spot of that place. So, in such cases GIS maps are very Useful. GIS maps helps in marking and finding out the tourist place, and through GIS ,customers can visualize those spots they are planning to visit. GIS helps in finding the tourist location to the travels and tourism business holders and their customers. With the help of GIS they can easily visualize the location while sitting at home and can also plan a tour to it, with the proper planning of your tour. So, if you are planning a tour to a new state, then how would you be travelling there? how are you going to reach there ? So, for that we need not only navigation but a proper and efficient route. In such cases GIS maps are very useful, as they can help you in making the proper route for your tour. With the help of GIS you can plan your route by making the best efficient routes and can choose one of them that is more feasible to you. Travelling to a new place, that is so exciting, but you get stuck when it comes to the food and stay, that means about your accommodation. GIS maps can help you out with this major problem. As we know, now we can look for the hotels and restaurants of any area very easily over Maps. Hence, You do not need to worry about the accommodation facility. All you need to do is just use GIS maps and get the best accommodation facility to stay according to your preferences, which is nearby to the tourist spots you are going to visit. We travel to explore new places and the culture and special attraction of that place. So, for finalizing your tour you can use GIS maps. GIS maps is mostly used by the travelers and tourist to finalize their place to visit on the basis of the special attraction of that place and its culture. With GIS one can easily look for the cultural events and special attraction, moreover the business holders can also update such locations in the map. 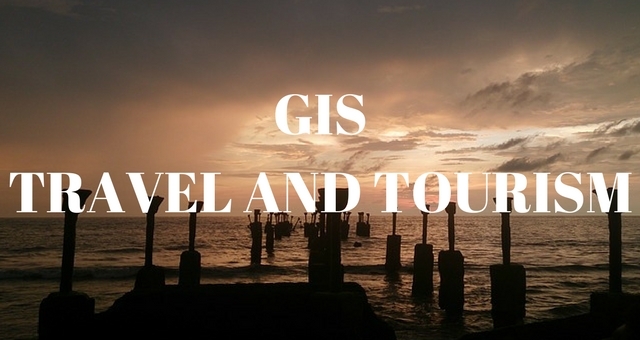 These are the Some major benefits which GIS provides to Tour and travels industry. If you know any other such benefits of the GIS for tours and travels industry, do let us know by commenting below in the comment box of GIS for travels and Tourism industry.